How to pronounce the word “Haiti” in Creole? One of the most important words to learn in Haitian Creole is the word “Haiti” itself. This can be a little tricky so we’ve made the following audio pronunciations recordings to help you practice. As you might expect, the adjective “ayisyen” is added to many phrases to signify something distinctive to the Haitian people. You can practice these examples below. Sometimes you will see these same words written in French: Haïti and Haïtien. 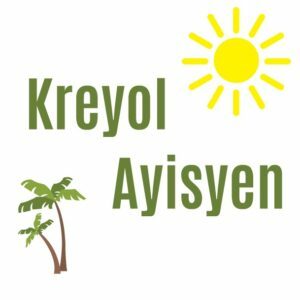 It should come as no surprise that the word “kreyol” is often substituted for the word “ayisyen” in the phrases above. I.E. manje kreyol, danse kryol, fanm kreyol. Please let us know if you need anything specific pronounced in Creole. How do you pronounce the word ______ in Creole?